CORONA, CA -- CIRCOR Aerospace & Defense, a CIRCOR International, Inc. company, announced the promotion of Don Stinnett to General Manager for the CIRCOR Aerospace & Defense California business. Stinnett will report directly to CIRCOR Aerospace & Defense Group President Vincent Sandoval. He will have full responsibility for the implementation of CIRCOR’s growth, productivity and factory execution strategy for the California business. Stinnett will focus on the execution and strategic initiatives, including productivity and customer service. Stinnett has successfully held a number of leadership positions over the past four years with CIRCOR including Director of Materials, Group Director of Global Supply Chain, and most recently Product Line Director for Landing Gear & Actuation. Stinnett came to CIRCOR from Saint-Gobain Performance Plastics Corporation, where he was the General Manager of the Polymer Products business unit. He is a Lean / Six Sigma champion and has implemented many operational improvement programs over the course of his 20 year career. “Don is an accomplished leader. We look forward to seeing continued success for the California business and exceeding customer expectations,” noted CIRCOR Aerospace & Defense President Vincent Sandoval. Stinnett holds a Masters of Business Administration degree and a Bachelors of Science Business Administration degree, both from the University of La Verne in La Verne, California. Stinnett will focus on the execution of CIRCOR Aerospace’s business and strategic initiatives, including productivity and customer service. 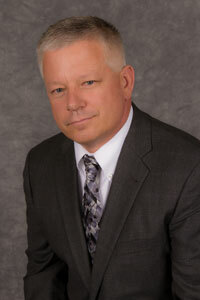 He will also continue to provide oversight as the Product Line Director for Landing Gear & Actuation.